Good afternoon, True Believers! Today I am going to cover two of Marvel’s fan favorites: Spider-Gwen and Howard the Duck! 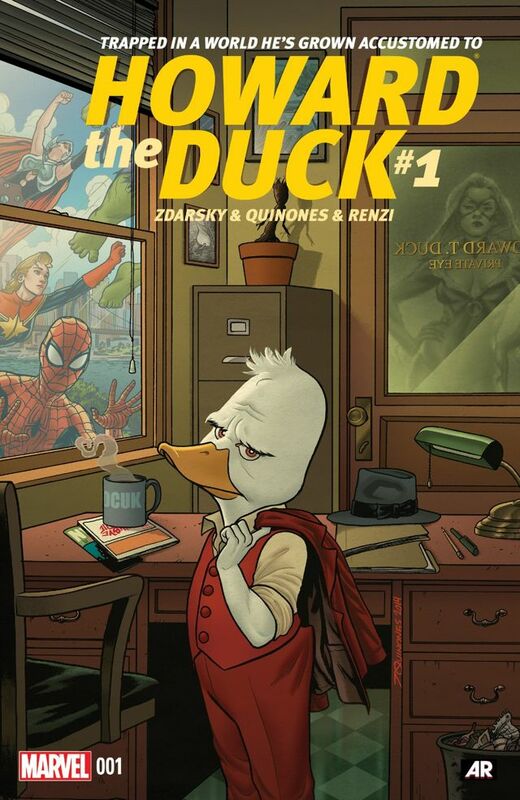 Howard the Duck #1: Art by Joe Quinones and Script by Chip Zdarsky. 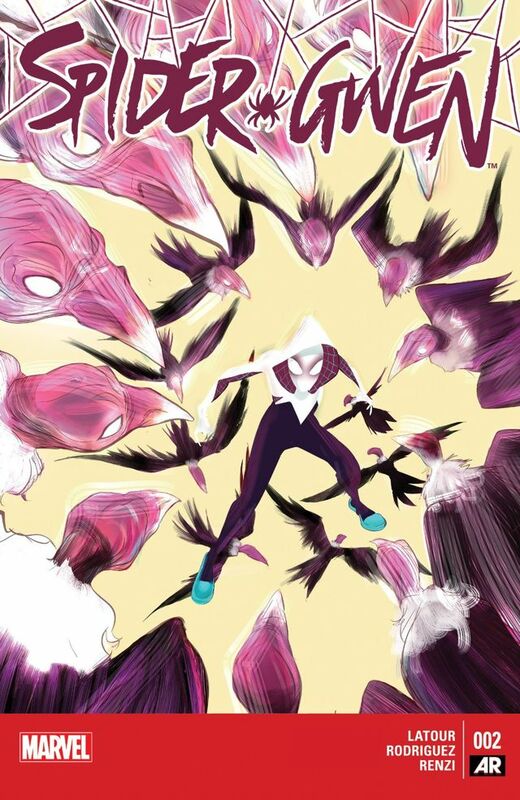 Spider-Gwen #2: Art by Robbi Rodriguez and Script by Jason Latour. I myself am a recent fan to the Howard property; but I was easily hooked. The story begins with Howard in jail. He is soon released and meets a “late bloomer” to crime, Tara. They become fast friends and later part ways; although they are sure to meet up again in the near future. Howard is a private eye assigned to a case regarding a missing necklace. His trail leads him to the elusive Black Cat (Felicia Hardy), and eventually back to Tara. Through all this, he has to deal with She-Hulk aka Jennifer Walters, as he is always pestering her to be his client. Following the trail of Black Cat leads Howard back into outer space, too! Overall, it was a great comic and an awesome series that Marvel has launched. The next issue of Howard the Duck is essentially a sequel to a post-credit scene in Guardians of the Galaxy! It is not one to miss! And if you missed the first printing, Marvel is issuing a second one very soon! Swinging back onto the streets of NYC is Spider-Gwen! When we last left her, she was falling to her doom after having been grabbed by the Vulture and dropped from a great height! But fear not, True Believers- the wall-crawler survived in the nick of time. Although, due to the jarring experience, she can now see her friend from the Spider-Verse, Spider-Ham. She is essentially nursed back to health with the aid of her old band mates Em Jay Watson and Glory Grant. The other piece of news happening in this issue is her father learning her secret identity! This one kept me turning the pages, fellow webheads! I definitely recommend reading the first issue if you already have not! Next ish won’t be out til April 1, and that’s no joke!